JCMaziu Design and Illustration. : Blow me down! 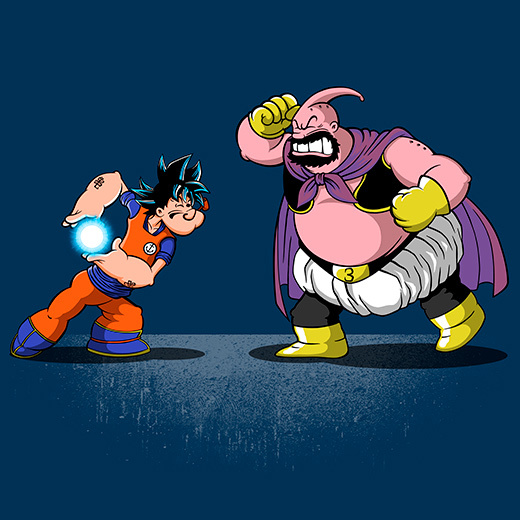 Popeye + Dragonball parody. These two guys are pushing their rivalry too far in the fight to get Olive's love. Here you have Popeye as Goku and Bluto as Majin Buu in a small mashups of those that I like. This mashup design is available as tshirts, posters and other awesome stuff on Teepublic.